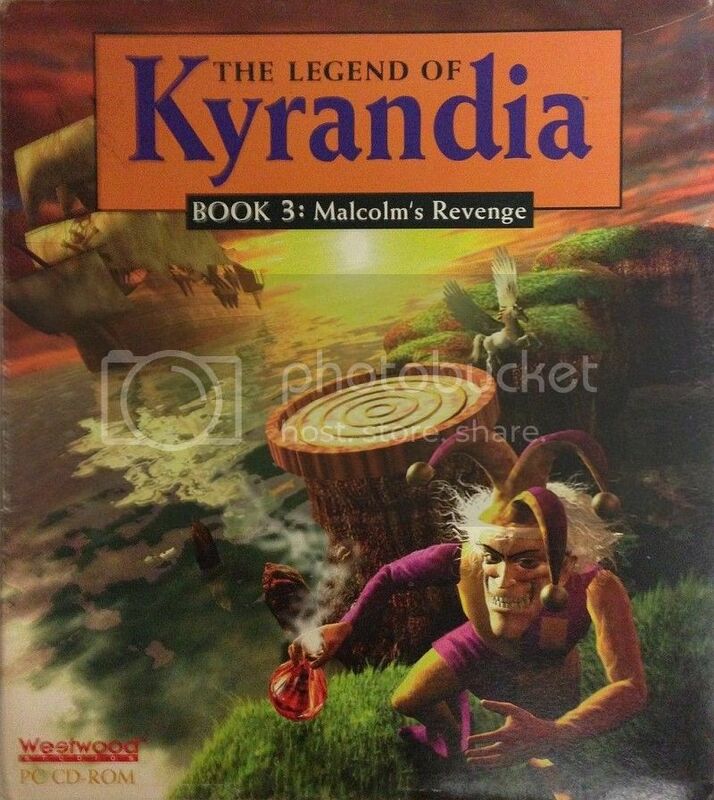 The final chapter of Westwood’s Kyrandia series (the “Fables and Fiends” sub-heading was left out) sports a CG cover featuring Malcolm’s leering visage with a pirate ship and a pegasus behind him, key pieces of his story which also comes with a laugh track. I’m not kidding, Malcolm really has his own laugh track. The final chapter in the Fiends and Fables adventure trilogy from Westwood arrived in 1994 without a lot of fanfare. From what I can remember back then, the third game just “showed up” on shelves. In this archived interview by Adventure Gamers with the series’ writer, Rick Gush, he notes that the game barely had any marketing done for it at all — or that it had even been shown off as part of the dog and pony parade at a trade show. In other words, it was probably sent out to die, taking the series off of Westwood’s budgets to make room for the studios’ other projects such as the upcoming Command & Conquer which would arrive the next year in ’95. If you had finished Hand of Fate, the ending led into the plot for Malcolm’s Revenge when a bolt from the blue frees him from his stony fate as a statue where he was left after the end of the first game. Now freed from his imprisonment, Malcolm sets out to clear his name of the horrible crimes he is accused of from the first game making it a fascinating character reversal in telling his side of the story. The back of the box did a great job in laying down the reasons for why you should care about Malcolm along with boasting its one-click interface. Not every adventure gamer liked that much simplification with their games, but at the same time, Malcolm’s Revenge didn’t require more than a 386/33 with 4 MB of RAM to run well, either. On a more personal level, I thought Malcolm’s Revenge didn’t seem as enjoyable as the previous games from a puzzle-standpoint with some of the clutter that it brought to its inventory, a problem that was also found in Hand of Fate albeit at a much smaller scale and constrained within specific areas since it was set up with a “chapter by chapter” approach. One or two puzzles also could be annoying from the start until you found the solution, such as being dragged off to play Tic Tac Toe with the Queen of Limbo every time she rang for you. Or Cat Island’s machete busy-work and the bone puzzle whose main character may or may not dig up a gem for you to solve another puzzle with. On the other hand, the character of Malcolm, the tongue-in-cheek humor, whimsical atmosphere of the game’s many locales, and multiple responses from many of the characters, provided a fun turnabout to the usual hero story despite how annoyingly frustrating it could be when it combined obtuse puzzles in with the kind of clutter adventurers in role-playing games were used to organizing and selling at the local shop instead. At the very least, it didn’t keep you from solving the game if you had forgotten something in a previous area such as Sierra’s Dagger of Amon Ra. This was an adventure game that hardly took itself seriously featuring things such as making doilies in the dungeon to helping cat guerillas on a jungle island fight their revolution. The game also made a bold step into 3D, pre-rendered CG which was one of the “hot trends” at the time especially now that CD-ROMs opened up all of that space for art assets, cutscenes, and music. In Malcolm’s case, it was used for much of the scene work making up the world along with a few special effects such as Zanthia as a flying pegasus while mixing in pixel work for the characters, interface, the sky, and other elements. The soundtrack was also wonderful stuff thanks to the talented Frank Klepacki. Another unique change that Westwood made to the typical adventurer’s formula was in leaving a number of puzzles open to multiple solutions such as in how Malcolm can leave Kyrandia. The game also allowed the player to change Malcolm’s attitude towards others via a “Moodometer” gauge switch that went from nice, to normal, and finally, to lying. It was an approach that seemed inspired by how 1992’s Indiana Jones and the Fate of Atlantis handled its Wits, Team, and Fist paths providing more than one way to get through the story, something that the design takes full advantage of in a number of ways outside of multiple puzzle solutions. 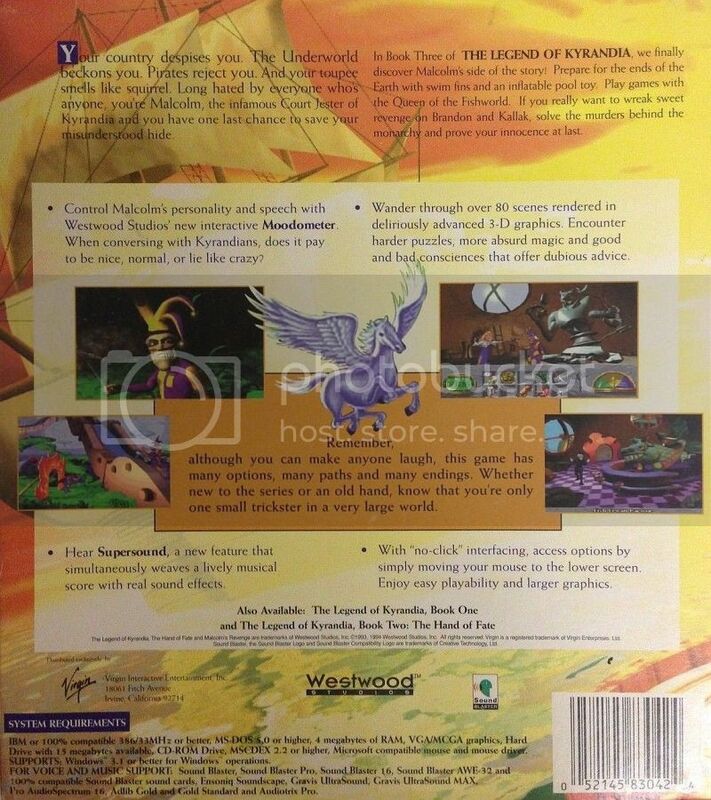 This box shot from the UK version of the game still sports the “Fables and Fiends” sub-heading at the top. Also, great artwork! I actually kind of prefer this box to the one we got in North America. Malcolm could be naughty or nice depending on the circumstances with his conscience, Gunther, appearing as a floating, wisecracking, five o’ clock shadow wearing head that poofs in from time to time, reminding him that being bad isn’t always a bad thing. And depending on what puzzles the player decided to solve along the way, arrive at the same goal which added a rare degree of replayability to an adventure game outside of simply scoring points. Making things more interesting, Malcolm’s angelic half of his conscience, Stewart, arrives later in the game after his attitude gauge breaks. At that point, the game literally breaks the 4th wall when Malcolm asks the player to pick whether to allow Gunther to tag along, goody-two shoes Stewart, or keep both sides of his conscience. Each of these options have their own paths to saving Kyrandia in the end and proving Malcolm’s innocence with the ending also shaped by the player’s choice. Malcom’s Revenge was something of a mixed bag but it had a number of innovative ideas that flirted with the concept of choices and consequences turning it into something closer to a Choose Your Own Adventure than as a strictly linear story strung together by one puzzle after another. It was an ambitious, and relatively rare, step for Westwood to take and one that seemed to be sadly ignored. Unfortunately, as noted earlier, the game suffered from near neglect in terms of marketing. It was also overshadowed by a number of high profile releases in 1994 such as Legend Entertainment’s Death Gate which was adapted from Dragonlance authors, Margaret Weis and Tracy Hickman’s series of the same name. The same year also brought in one of the largest and more innovative CD-ROM games of the time with Access Software’s remarkable, first-person virtual detective game, Under a Killing Moon. Despite ending on a somewhat muted note, Westwood’s Kyrandia series was a decent series of classic adventures that a number of fans still remember fondly after so many years. Today, players looking to complete their collection or top off their Kyrandia experience can snag Malcolm’s Revenge on Good Old Games. Its humor wasn’t for everyone, its lighthearted, tongue-in-cheek fantasy style could be off-putting for players looking for something a bit more serious-minded, and the quality of its puzzles could vary wildly. Yet at the same time, the series demonstrated some of the best of what Westwood’s artists and designers were able to come up with. 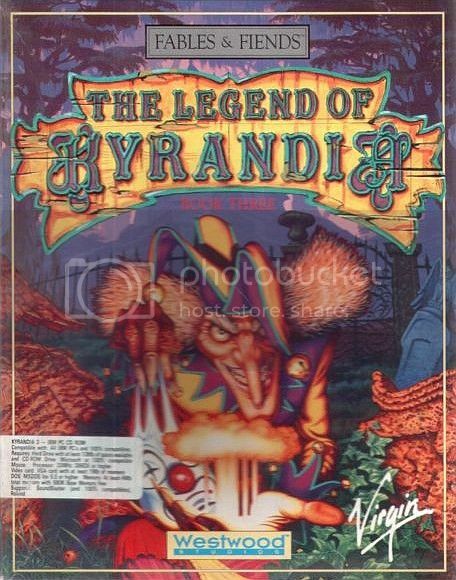 At a time when many studios were beginning to narrow their focus, Kyrandia’s brief life showed that a CRPG and RTS studio had the talent to play in the same sandbox as Sierra, Legend, or Lucasarts, a reminder of a time when any one studio could and often did try to do it all.